On October 23, 1990, BJP leader LK Advani was arrested in Bihar's Samastipur on the orders of then Chief Minister Lalu Yadav to prevent him from proceeding to Ayodhya. LK Advani, one of the BJP's most powerful leaders at the time, set out on a Rath Yatra on September 25, 1990, from Gujarat's Somnath to campaign for a Ram temple at the disputed Ramjanmabhoomi-Babri Masjid site in Ayodhya. He travelled from state to state aiming to reach Ayodhya in Uttar Pradesh on October 30 to participate in "kar seva" to start building the temple. 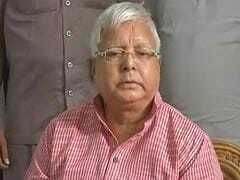 On October 23, he was arrested in Bihar's Samastipur on the orders of then Chief Minister Lalu Yadav to prevent him from proceeding to Ayodhya. The BJP withdrew support to the VP Singh government at the Centre, in which Lalu Yadav's party was also a partner, and it fell. The Rath Yatra launched the BJP as a major political force. On December 6, 1992, right-wing activists razed the 16th Babri mosque in Ayodhya. Yesterday, I saw reports and visuals of people celebrating the demolition of the Babri Masjid as "Shaurya (gallantry) Diwas." The mosque was brought down on in the presence of top BJP leaders. For me, December 6, 1992 was the saddest day. If making a promise to the Supreme Court and then violating it is gallantry, then it was a new definition. I am often asked why I arrested LK Advani in Samastipur in October 1990. Simply, to save the country. To protect the nation and defend the Constitution of India. I had the option of felicitating him as his Rath Yatra to Ayodhya rolled into Bihar and giving him safe passage through my state. That would have ensured that the government of then Prime Minister VP Singh would continue, but I decided to make that sacrifice. Because in retrospect any observer would say that by sacrificing my own government we saved the country at that time. Imagine what would have happened if LK Advani's rath had entered Uttar Pradesh. It was already creating communal disturbance everywhere. LK Advani's Rath Yatra, which he began from Somnath to Ayodhya but had to stop in Samastipur, was in reaction to the implementation of the Mandal Commission's recommendations on reservation. It was "Mandal vs Kamandal." And we were determined that the Kamandal would never succeed as it has larger divisive undertones. I was determined that I would not allow LK Advani to go ahead to Ayodhya. But there was a lot of confusion at that time with hectic parleys on in Delhi. 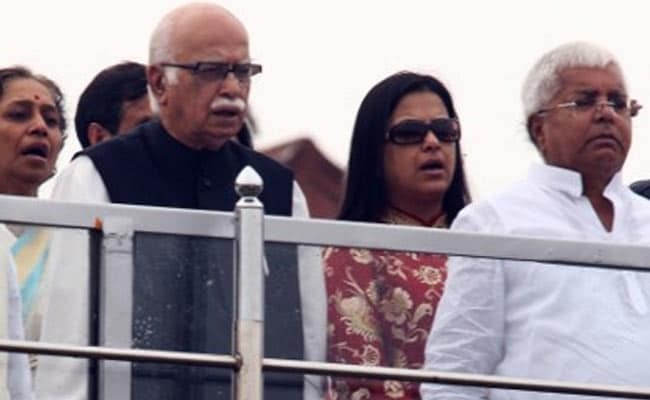 LK Advani had even left his yatra midway to participate in one such meeting and his route was changed. He was supposed to resume his yatra from Dhanbad, so we made some plans. I too held a high-level meeting. Our original plan was to arrest him the moment his train, the Howrah Rajdhani, entered Bihar around 2 am somewhere near Sasaram. My district magistrate of Rohtas, Manoj Srivastava took Railway officials into confidence and the plan was to stop the train at a Railway cabin and arrest LK Advani. But this plan was leaked, so we needed a new one. It was with great difficulty that we could reach Srivastava, who was already near the railway track. Those were days when there were no mobile phones. We then decided to arrest LK Advani in Dhanbad, but could not do so as there was some confusion among local officials. I knew now that I would have to plan it very carefully and also involve very few people, minimising consultation to only a few top officers. I first called up Sudhir Kumar, the then District Magistrate of Dumka, which has a picturesque guest house in Masanjor, informing him that I planned to come there the next morning and that he should have very tight security around the guest house. I stressed that no one should be allowed near it. By then the Advani Rath Yatra had reached Patna and left for Samastipur, where he planned a night halt at the circuit house. I called some officers and didn't allow them to go back home. They included Rajkumar Singh now Union Energy Minister and Rameshwar Oraoan who was Deputy Inspector General (DIG) of police and later became a Member of Parliament. I also got in touch with our chief pilot and requested him to be ready for an early morning chopper ride, but kept the destination secret. Early morning, the pilot Avinash Babu flew Rajkumar Singh and Rameshwar Oraoan to Samastipur, where they landed at a stadium near the circuit house in Samastipur. The night before, I could not control myself and called the circuit around 2 am. I said I was Gonu Jha a local newspaper reporter and, in Maithili, asked about LK Advani. The man who picked up the phone told me he was asleep. He confirmed that his supporters had left. I wanted to make sure that the forces would not have to deal with a huge crowd of supporters when they landed to arrest him. It was a big relief that the media contingent that accompanied LK Advani on his Rath Yatra had chosen to remain in Patna that night. A few of them met me too and I told them I had no plans to arrest LK Advani; the team had some people very close to him and the BJP. 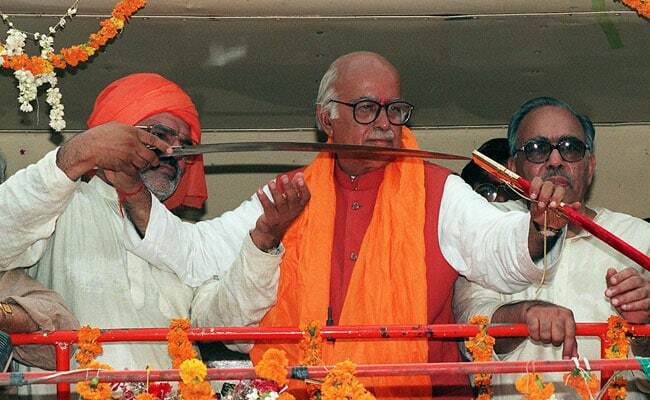 After my officers arrested LK Advani and Ashok Singhal, they flew back on the chopper to Patna instead of Masanjor. I briefly panicked wondering what had gone wrong, but I was assured that all was well and that they had only come Patna to refuel. Once LK Advani reached the Masanjor guest house I called him and said, "Sir, it was necessary to arrest you, please do not hold it against me." I also told him that there was a cook, doctor and all the other facilities at his disposal. He was at the Masanjor guest house for many days. I kept in touch with him and with his family when they came to visit him. I insisted that they use the state chopper to go to Masanjor instead of driving down. I was opposed to his political Ideology, but we are not enemies. I am sorry, but the fact remains that we have forgotten our culture and there is so much bitterness in political discourse nowadays that it is impossible to think of niceties as existed in those days. We lost the government at the centre but I'm still proud of the fact that we did what was the need of the hour. LK advani had to be arrested to halt communal polarisation at that time.